Discover the superlative views of the most famous pinnacles of the Brenta Dolomites, in a picture-perfect environment. This mountain hut, which has an iconic status in the Dolomites, represents the starting point for the most important climbs in the Brenta area. You will find numerous mountaineers busy on the surrounding cliffs, or as they approach/return from their climbs. 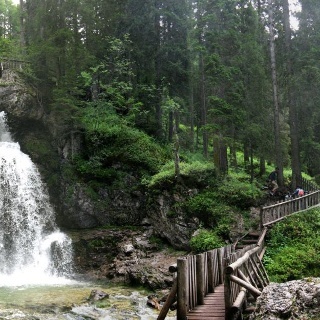 The section between Sella del Fridolin and Rifugio Casinei can be particularly slippery in wet conditions. Hiking boots/shoes, raincoat, a change of clothes. Telescopic hiking sticks are useful. 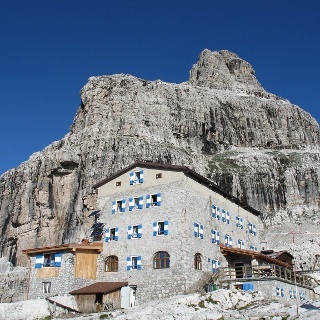 The route begins in Vallesinella, at the mountain hut of the same name. You take trail 317, which passes a wooded section partially characterised by roots and stairs. 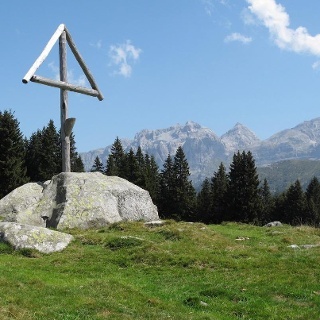 After walking for about 45 minutes, you reach Rifugio Casinei (1825 m). After a necessary break, you continue, taking trail 318 with directions for Rif. Brentei. The path begins to climb above the vegetation and follows a diagonal route leading to the “Valle del Fridolin” fork (2043 m). You continue to follow trail 318, with directions for “Rifugio Brentei”. You walk on “Sentiero Bogani” (still marked 318), which continues on a slight downhill slop, and then a few alternating uphill/downhill sections. In this part, the path is partially dug out of the rock, with a few walkways and tunnels: truly picturesque. 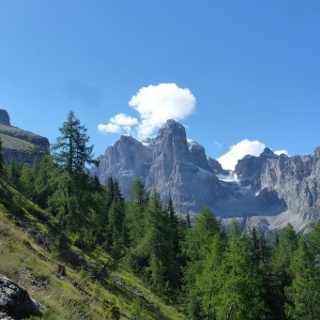 The path then climbs once again and, passing beneath the incredible western cliffs of the “Punte di Campiglio”, you reach a panoramic ledge located on the river’s right of Val Brenta Alta, where Rifugio Maria e Alberto ai Brentei is located. 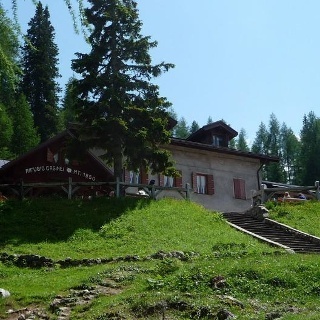 The mountain hut is very pretty, and panoramic: the scenario is fairytale-worthy, dominated by the immense east face of the Crozzon di Brenta, and the massive Cima Tosa, the most important peak in the Group, together with Cima Brenta. Madonna di Campiglio via road SS239 della Val Rendena (coming from the Giudicarie and from Val di Sole). Entering the town from the south (below the tunnel), follow the signs on the right for Vallesinella. At the rundabout, turn right again towards Vallesinella - Loc. Palù. 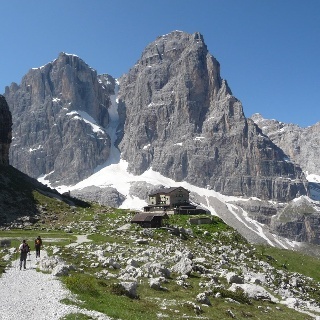 The road to the mountain hut is managed by the Parco Adamello-Brenta authorities, who manage access (open before 07:30). Ample parking in Vallesinella. N.B. 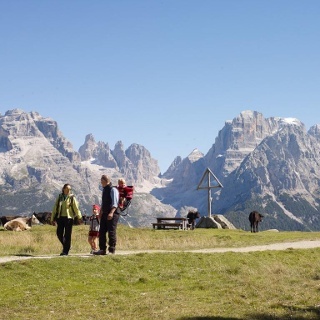 : the road and parking lot are managed by Parco Adamello Brenta.